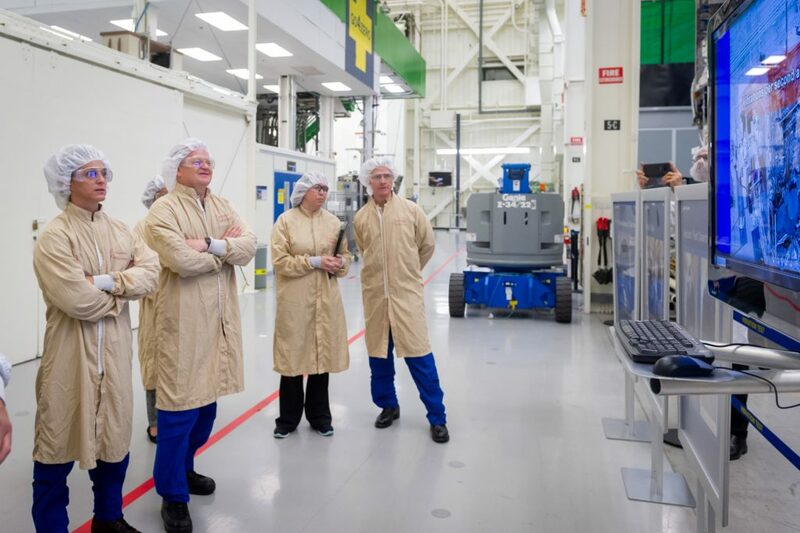 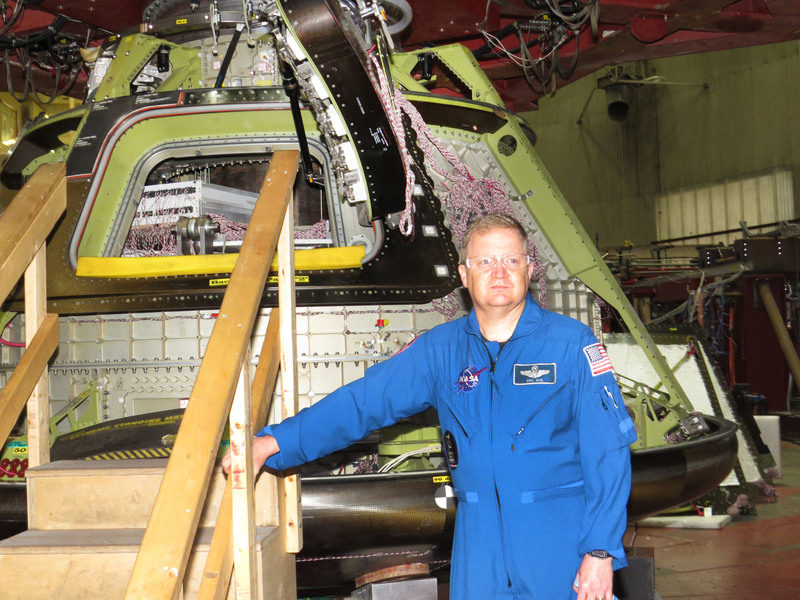 Boeing test teams will put the spacecraft through several assessments including thermal vacuum testing which simulates hot and cold temperature swings the vehicle experiences on orbit. 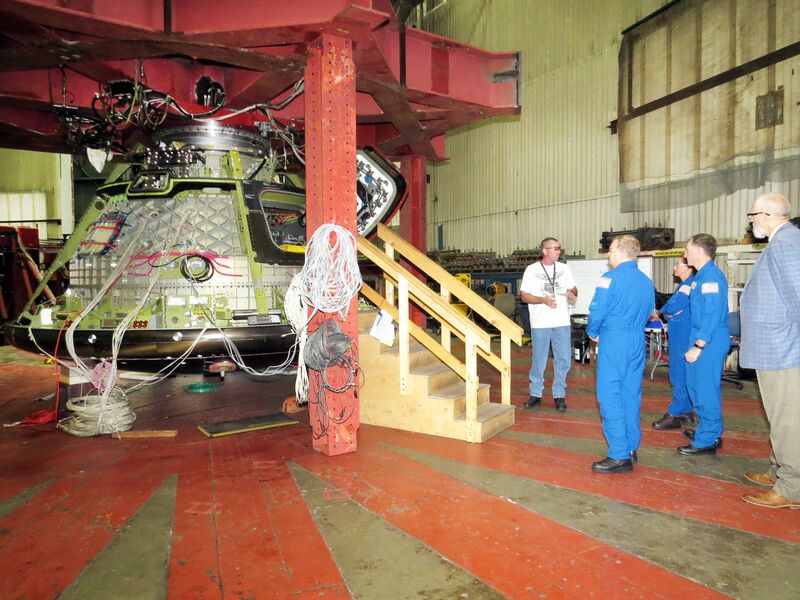 They’ll also perform acoustic testing, meant to safely shake the capsule to ensure it’s been properly built, and electromagnetic testing to see whether the frequencies expected in space would cause any dangerous interference. 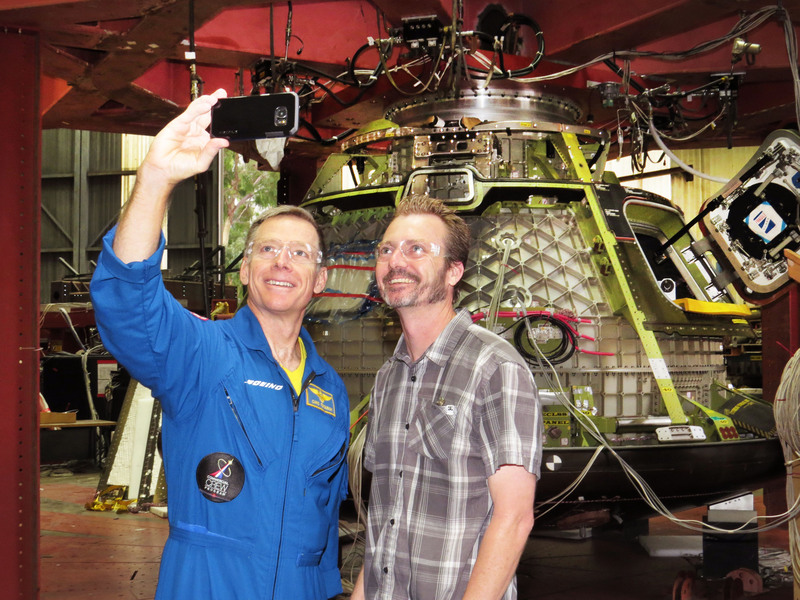 Boeing astronaut Chris Ferguson takes a selfie with a Boeing employee in Huntington Beach, Calif.